Burwood Group, a leading consulting firm that bridges business strategy and technology solutions, announced today that Dwight Thomas, Jr., a Senior Consultant and Technical Lead at Burwood Group is a featured speaker at the CompTIA ChannelCon 2017 conference in Austin, TX, on August 2. Thomas will discuss “Improving Connectivity Between Equipment & Networks” at the event, which seeks to connect the industry’s leading solution providers, vendors, distributors, IT professionals, and media. Over the past 15 years, Thomas has accumulated extensive experience designing, implementing, supporting, and securing enterprise and industrial networks for various industries such as Oil & Gas, Green Energy, Manufacturing, Transportation, Water Utilities, and Building Automation. Prior to joining Burwood Group, he served as a Senior SCADA Communications Specialist and Technical Lead for one of the largest energy companies in North America, where he designed both ICS and SCADA solutions for its Gas Pipelines and Processing (GPP) division. Thomas has a degree in Computer Information Systems from Lamar University and holds many industry certifications including CompTIA Network+, CompTIA Security+, Cisco Certified Network Professional, Cisco Certified Design Professional, Cisco Advanced Internet of Things Manufacturing Specialization and the Cisco Advanced Internet of Things Industry Expert Specialization. 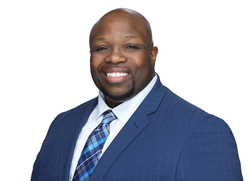 He currently serves as a CompTIA Network+ Subject Matter Expert (SME) and is a member of the CompTIA SME Technical Advisory Committee (CSTAC), CompTIA Network+ Certification Advisory Committee, and the Association of Technology, Management, and Applied Engineering (ATMAE). ChannelCon 2017 will be held July 31 to August 2 at the JW Marriott in Austin, Texas, connecting the industry’s leading solution providers, vendors, distributors, IT professionals and media. It provides channel training courses, exposure to new end-to-end solutions, and networking events on hot topics in security, workforce and future technologies. IT professionals can earn CEU credit towards CompTIA certification renewal for CompTIA A+, Network+, Security+, Cloud+, CSA+ and CompTIA Advanced Security Practitioner. Burwood Group is a systems integrator, helping forward-thinking IT leaders deliver knowledge to the end-user within the organization’s unique business context to increase profitability, reduce risk, and enhance customer loyalty. We partner with leading technology and service organizations to provide tailored product and industry solutions. We work to ensure an optimal fit for each individual client. Founded in 1997 and headquartered in Chicago, Illinois, Burwood Group serves local, national, and international clients. We pride ourselves in being trusted business advisors to clients by providing smarter solutions that deliver better outcomes. Visit http://www.burwood.com.